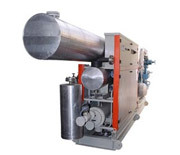 Reynold Gas Liquefaction Chillers are specially designed for the liquefaction of Industrial gases CO2, N2O etc. 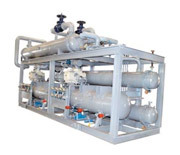 These chillers are completely skid mounted which include gas liquefying evaporators also. 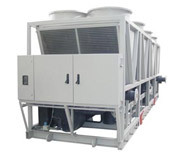 The chillers work on multiple refrigerants as per the process requirements. Reynold Medical Equipment Chillers are designed for the cooling applications at the highly sensitive medical equipments like MRI, CT Scan, Cyclotron etc. These applications demand customized equipments with precise temperature, pressure and flow control of the cooling fluids. The processes also demand highly reliable round the clock operation, backed by 24x7 service back up. 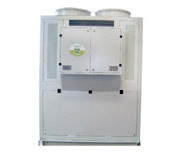 Reynold Dual Temperature Chillers are specifically designed for the applications requiring dual temperature parameters at specific duty points. 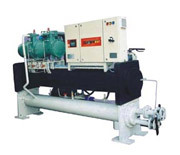 The chillers are custom designed keeping in view the precise application parameters. Reynold Milk and Beverage Chillers are specifically designed for the applications in food and beverage industry. The Chillers are customized to cool alcoholic and non-alcoholic beverages, juices, pulps etc., directly, saving energy by upto 30%. Food grade metallurgy for the vessels as well as food grade fluids are used, for completely safe process cooling, as per the highest international food safety standards. 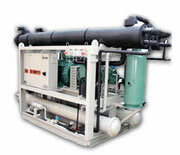 Reynold Cascade Chillers are designed and manufactured for low and ultra-low temperature applications. Primary and secondary refrigeration circuits are completely skid mounted and are available in both Water-cooled as well as Air-cooled types. They are designed as per the peculiar applications and fluid specifications and use materials precisely as per the specific process cooling requirements. Complete study of the process and locational parameters to assess peculiarity of the requirement precedes the choice of equipment and accessories being proposed, through an engineering team with specific expertise.